Worm gear is one of gear type which mating with a worm to greatly reduce rotational speed, or allowing higher torque to be transmitted. 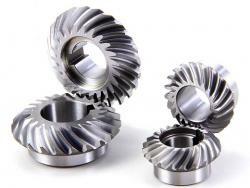 this type of gear can gain higher gear ratio than spur gears of the same size. worm gear can be made from different material according to end application, some often use material is brass, stainless steel, cast iron, aluminum, Delrin and POM etc. 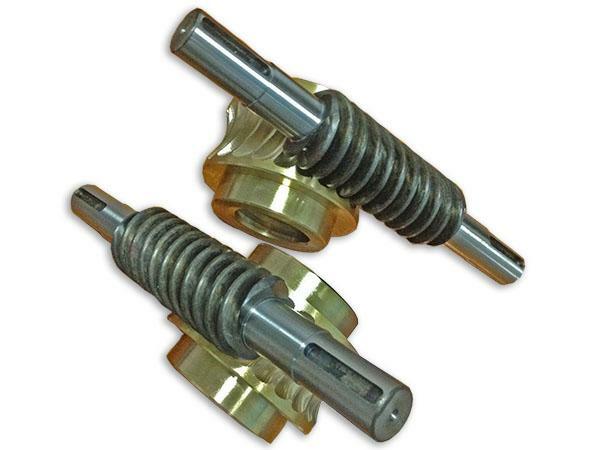 We proudly provide worm and worm gear sets manufactured to customers from all industries. the max diameter of worm gear can 600mm, worms in diameters up to 100mm, module 0.5 to module 6. Worm gear is one of gear type which mating with a worm to greatly reduce rotational speed, or allowing higher torque to be transmitted. to end application, some often use material is brass, stainless steel, cast iron, aluminum, Delrin and POM etc. transmit high loads at high speed ratios. 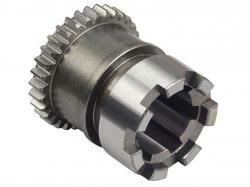 Types of Worm Gears have Non-throated, Single-throated, Double-throated.